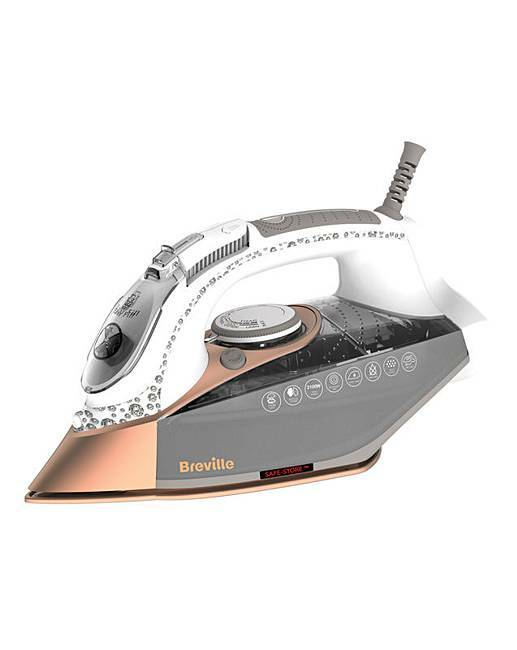 Our fastest steam iron, we’ve designed this Breville DiamondXpress 3100W Steam Iron with you in mind: outstanding performance and helpful features deliver fast results, giving you more time to do the things you actually enjoy. The super-wide and multi-directional soleplate with precision tip features real crushed diamonds for improved glide-ability and durability. 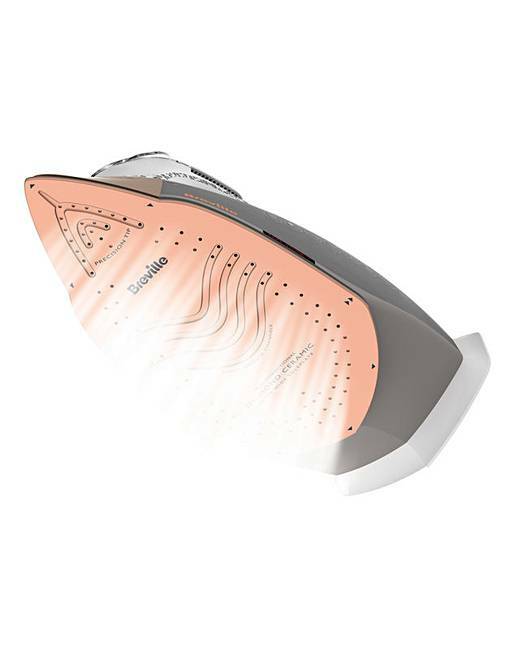 The steam channels at the heart of the soleplate provide steam exactly where and when you want it. 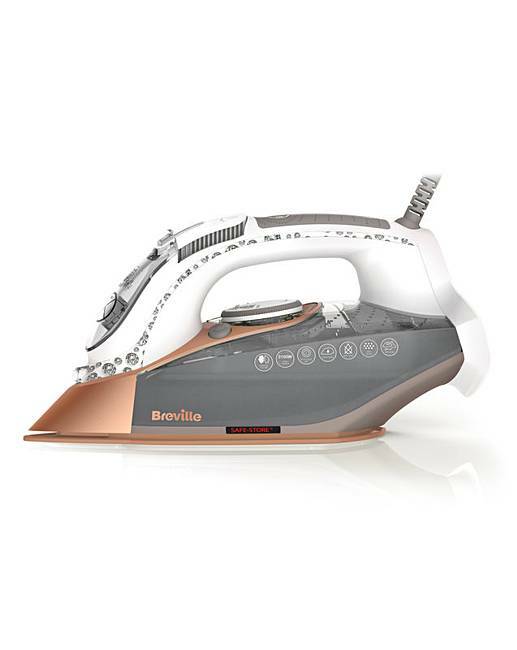 The Breville DiamondXpress is easy to use with a comfortable soft-grip handle and an improved heel design for greater stability, plus it boasts a neat cord storage facility. 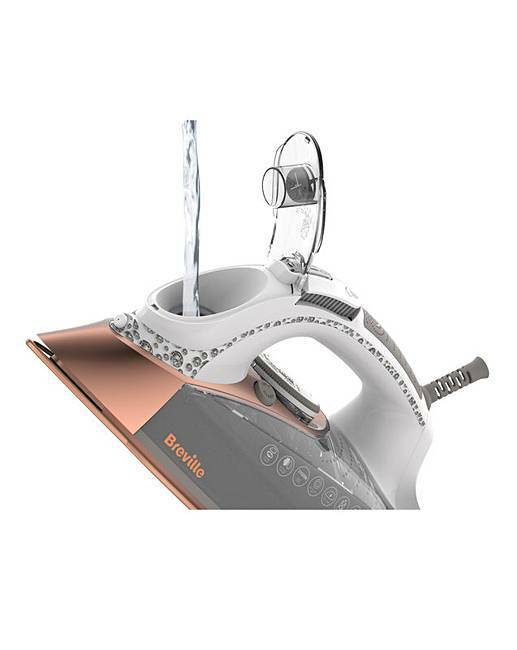 It also features an easy-fill water inlet, Safe-StoreTM heat indicator, crystals set into the temperature control dial, anti-scale and anti-drip functions, auto shut-off and a self-clean feature as well as vertical steam and water spray features. 3100W. 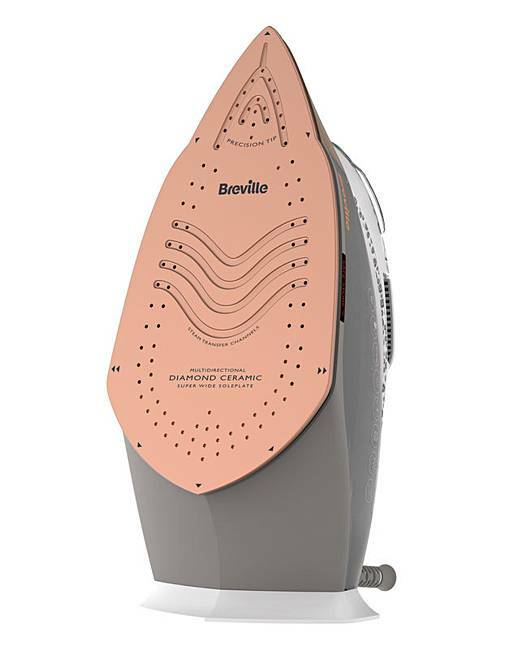 70g/min steam output. 200g/min steam shot. 400ml water tank capacity. Diamond ceramic soleplate. 3m cord length. 1.6kg.